The Card Reveal is here! Mine’s been a whirl of art creation! When I started working on the Water Creatures zine I knew I wanted a comic book aspect and that’s when Feminist Mermaid Convos came into being. What would they talk about and how could I base them in reality? They’ve been so much fun to work on! They have also been challenging. When you do something new it stretches your boundaries in a really safe way. Any ways, welcome to the April Card Reveal. April is the best month of the year, yeah I was born in April. 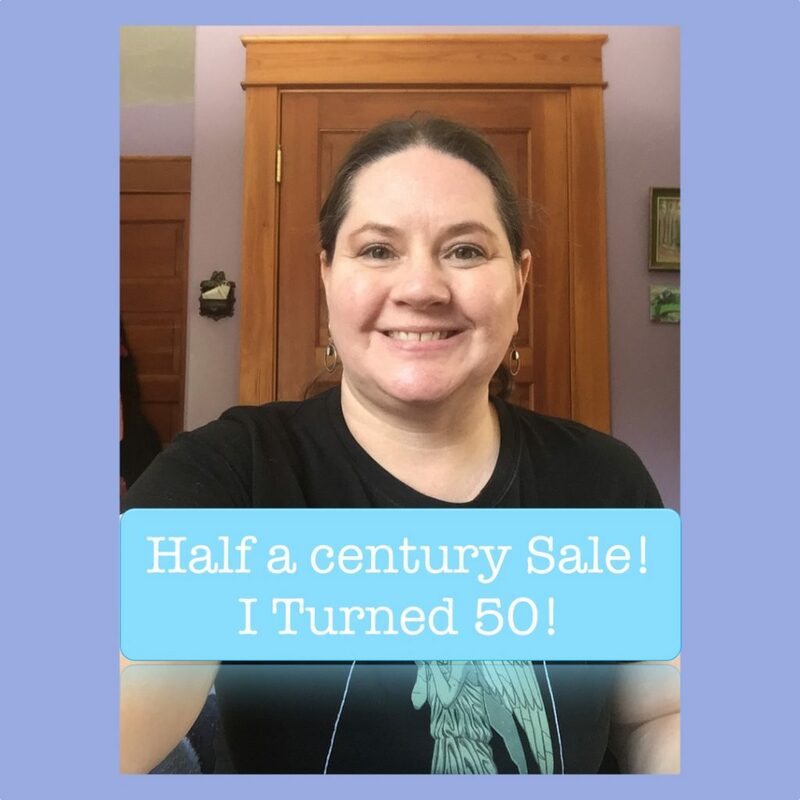 Which is why I have the half off MayDay sale May first and second. You can also get a whole month of card reveals join the list. Take a good look at what you are creating in your life! That means you can tweak it when you need to and stay on the course that’s working for you. Detours aren’t bad they simply mean you needed to learn some more before you stream line things. It is okay to take a side route if you need to. I’ve been on some awesome detours and some that weren’t but I learned so much form both types. Don’t be afraid of learning it is good for you! 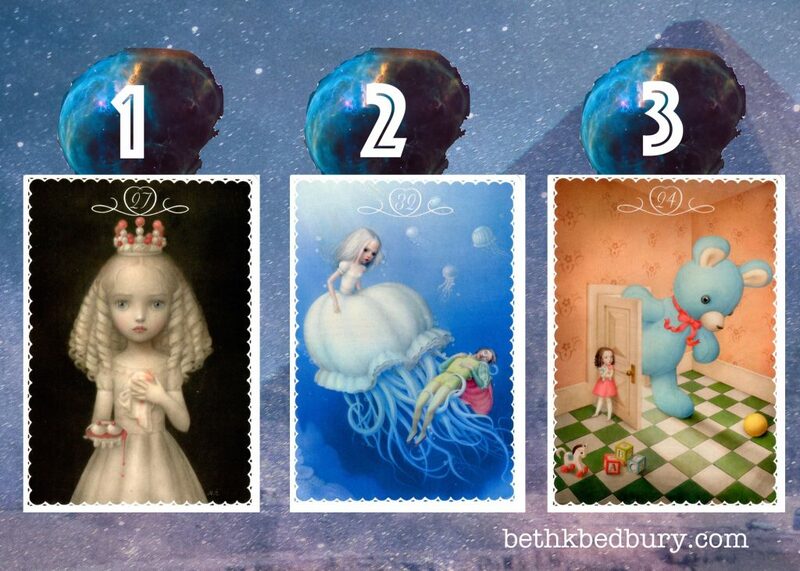 This month’s deck is the Ceccoli Oracle, this deck only has numbers, no names. 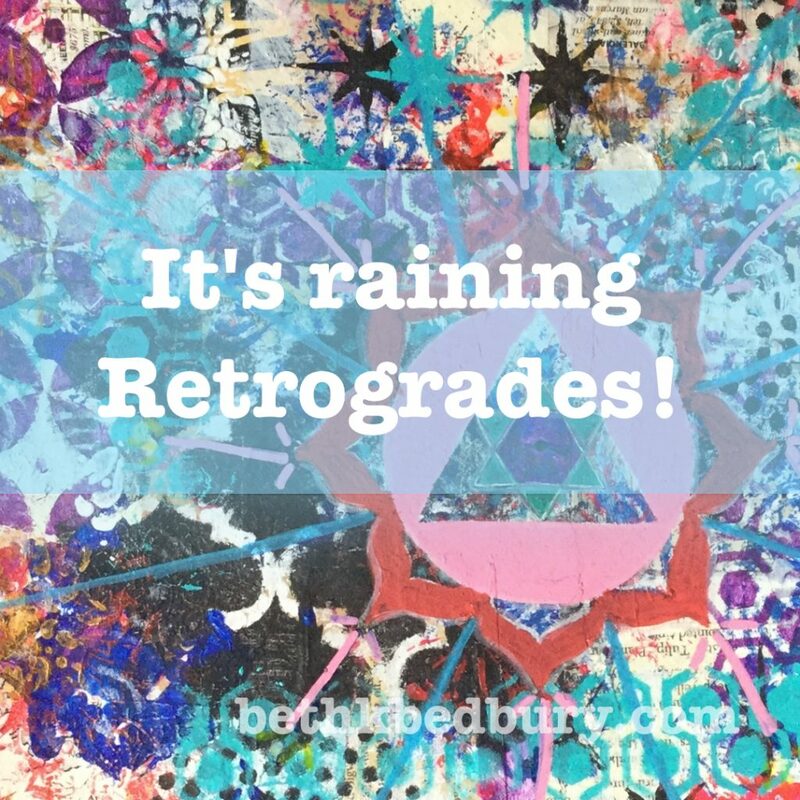 Did you miss last week’s video It’s Raining retrogrades? Catch it here. I gave it my all and then it fell flat. That hurts and feels really horrid, no one wants to be here. People go out of their way to never go there and don’t put anything out just in case it fails. When you give it your all that’s a gift to you, you can feel like you fail but that is where you can learn. Learning is where you need to take what you are working on and look at what you would change to reinflate your effort. Failing is not the end it is a new beginning with a wiser you. Where have you failed and how did it make you better? Who do you need to rescue? Are you supporting others and are they supporting you back? There may be times when you need to support more then you get but really in any relationship it does need to be a two way street. You also deserve to be supported too. Look at how this plays out in your life with loved ones and friends. Are you the one who is always supporting or is there a balance here? What’s making you freak out? Is it real or is it one your protectors thought up to keep you safe? There are real fears and then the ones that are created in the head. The fear is there to keep you in a place you know because it is safe. It might not be the best but it is what you know and that can often equate to safety. Know why you are doing or not doing and if what you really need is a big dose of action steps. Where do you hold back due to fear? 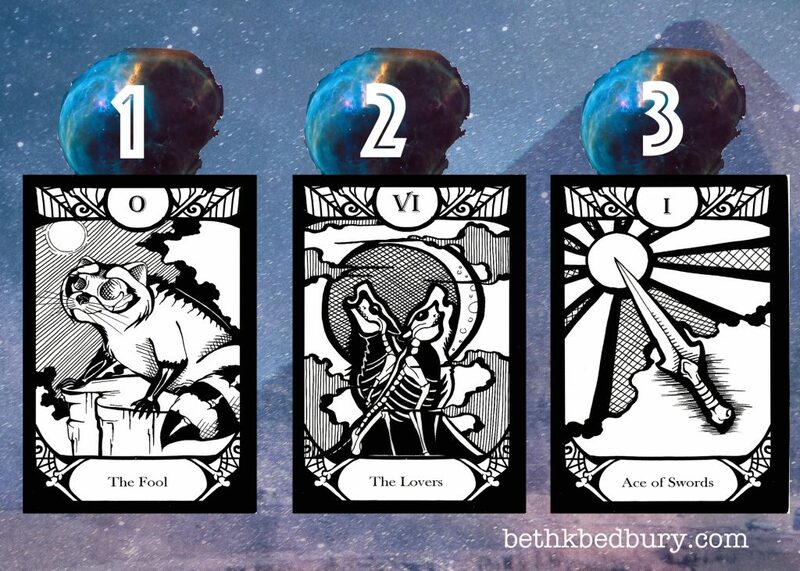 Get webinar & ritual invites, full month of card reveal, and other goodies! 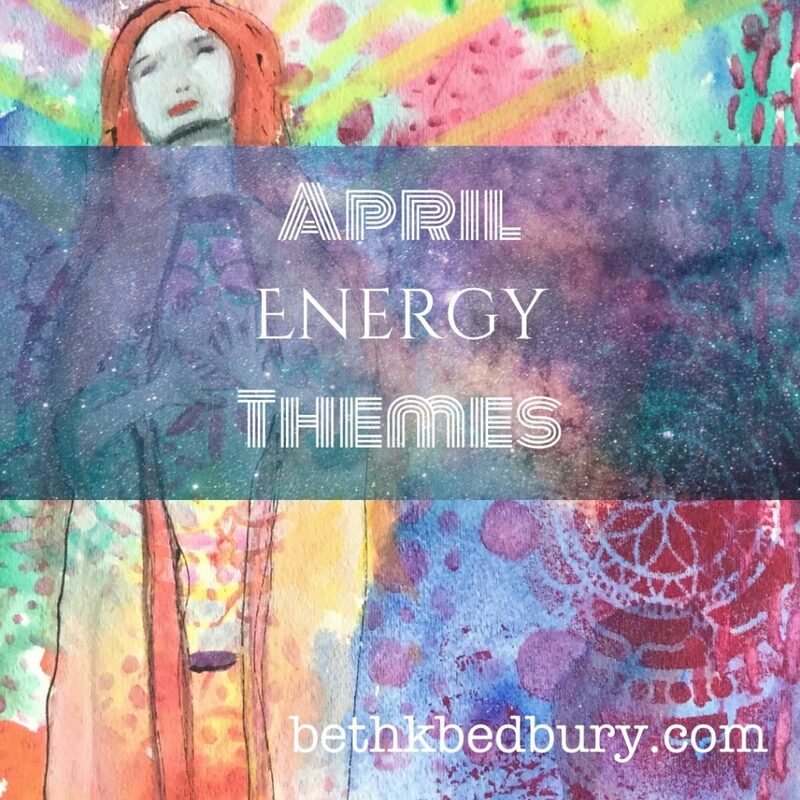 Welcome to April’s Energy Themes! There’s a call not to get too caught up in what you think it is and that it will be this way. That route is going to tighten up your energy and not feel awesome. You want to go for what’s awesome! You goal this month is to use your momentum that’s going for you. Let it carry you along and not be concerned about the pace of the momentum. Now you are back to the not get too caught up in what you think it is! It is all about perception and what you make of it. It is raining Rx blog here. You don’t always get where you want right in the first three minutes. But you can keep taking action on it and working towards it. You need to know if you are in it for the long haul or not. If the answer is no then you need to figure out what the yes it and start using it to what you want. Because there’s a lot going on in the heavens and you want to use the four retrogrades to get where you want. Use that energy to fuel you and not run you over have a great month! Get a full month of Card Reveals, Webinar invites, and so much more. Get on the list! You are about half way through it at this point. Mercury has a liquid lightening to it that can fuel your intuition and creativity if you want it to. In order to utilize that you have to stay with it and find a way to work with Mercury while it is in retrograde. That can be a tricky thing to work out at first. Don’t give up if you don’t get it perfect on your first try. All I knew is I didn’t want to get wiped out for most of the month when this dude hits. Really feeling it pick up a Mercury RX package or reading or both. Because that’s not all that’s happening this month, nope, there’s also the Vernal Equinox. That’s bringing in a balance of light and dark. This tends to go two ways. The first is feeling super balanced and awesome.You know it and are ready to go. The second is feeling what’s not balance in your life.All the spots that don’t have a good balance come to the front and challenge you. Toss in the Mercury in retrograde going on at the same time and that’s not a fun place to be. Now the other peeps are digging it, because Mercury is helping them get clear while you feel like a murky mess. That’s okay! It happens and if you take the time to sift through that murky mess you can learn a lot about yourself. Here are a few tips to help you with both of them! Work on bringing the areas that are off kilter into balance. Not sure how to do that? Book a Shadow Light Reading. Or join me for the Equinox Ritual on the 20th at 6PM Mountain, 8 PM Eastern. Get your invite here. Get your flow on with Chakras Connected! Because they don’t work as separate individual entities. They are connected and work in conjunction with each other. Sure they have different function but they function so much better when you create hubs and connections with your chakras instead of working on them only one by one. Bring the Root, Sacral, and Solar Plexus Chakras together to work with each other. To create security in who you are and trusting that you know what you want! To create joy, resonance, and love in all you do. Bringing the three centers of the Heart chakras together lets you love freely. It creates a base of self love and compassion that expands out into the Universe. Are brought into alignment so you can speak your truth with knowing and compassion. When these three work together you know when to speak and when you are going to waste your breathe. You understand the information that comes to you and can be expansive in how you use and process it. Helps you create short cuts to things like grounding/clearing energy. Feeling love and being willing to give and accept it. Being able to speak up when you need to is empowering. 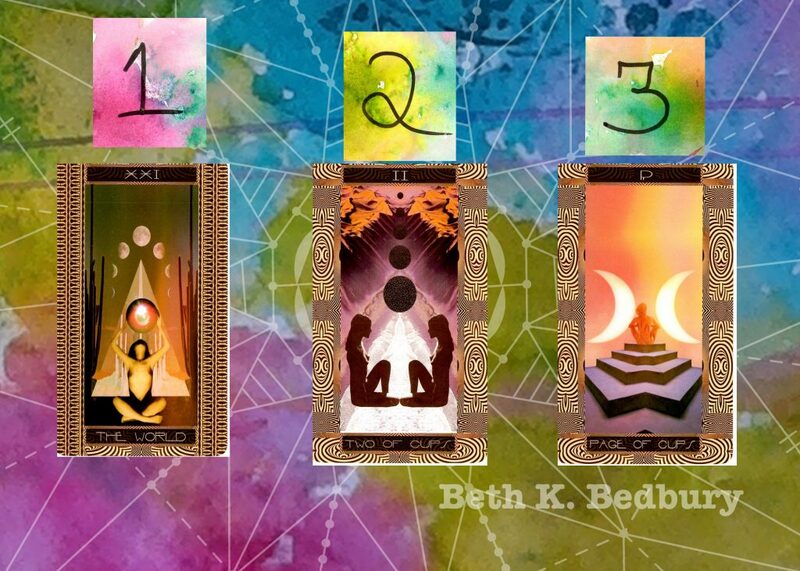 Pick up Chakras Connected today! Doubt is part of the human experience. We all have it, remember that when you find yourself doubting. There are times it is a good thing to have some doubt to encourage you to question yourself and make sure it is what you want. It is another to use it as a weapon against you. Looking at what you are doing with your life is not a bad thing and doubt can help fuel that. A healthy examination lets you know that you are on track. It can help you identify what needs help and where you want to go. So next time doubt creeps up on you. Take a good look at it and what it is telling you. Look at it as a reminder to check in with you to evaluate the next step. Here’s a Flip Thru of my last art journal. Liked this? Check me out on Patreon. This weeks deck is the Animalis Os Fortuna. The latest in the Froud’s Faery’s series. Are you ready to leap? The Fool is always ready to leap into, he’s not going to stick the toe in to test it. It is all in with him. Look at where you are hemming and hewing. Just gotta test it, check it out one more time for the 80th millionth time. Stop the madness and leap or walk away and find something else to leap for. Are you in your way and how can you get out of it? What if you don’t want it? Can you find it in your heart? Take a minute to get still and slow down, let yourself be quiet. What do you hear or know in that moment? Make a choice to bring in stillness so you can know your signs and your ideas. Both are important. If you never take time to check in with you things get missed. How can being still help you not miss what you need? What is your heart telling you to do? Are you using your brain? There are times when you need to feel it and have all the feels about what you are doing. This is not one of them. Bring your brain in for a while and see where it takes you. There are times when you need to bring in logic and intellect to understand or make it out of something. Allow yourself to step back coolly if you need to so you can think it out. Are you reacting instead of responding? Where do you need logic to help you out? Moon Magick Workshop coming up on March 6th. Are you ready to foster creativity, initiative, intellect, and planning? 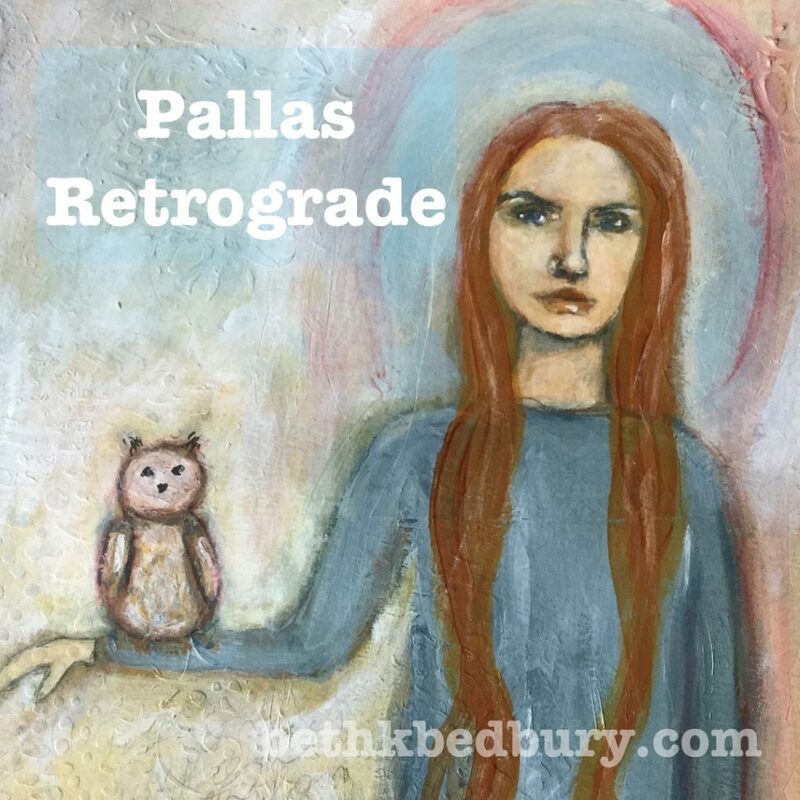 This is what Pallas Retrograde can help you from February 18th to May 30th. Pallas is an asteroid named after the Goddess Pallas Athena. She’s all about the brain and your intellect. She’s also a good goddess to bring in when working with issues of justice. The blind folded lady with a sword representing justice is based on her. What can you do with this asteroid’s retrograde? Plan it out. Get it all in order with a plan to work from and guide you. What needs to be rethought out or reworked. This is a good time to do. Creativity especially using your intellect making it a good time to do research or compile something. Evaluate existing values in your life and make sure they are still yours. Denying that you need to take time to rework or rethink it. Reevaluating is a process that can bring in new ideas, don’t shove it to the side. Let the interplay between mind and heart become separate. It may feel like your intellect and heart are at odds if that happens check in. Heart and intellect can work together. Let intellect drive while hte heart navigates. Emotions may need to take a back seat while Pallas is in retrograde. Use reason to help you with this. If you need to make a plan to deal with it. Sneak Peek into the Package until Monday A.M.
Want more support pick up the Pallas RX Package. 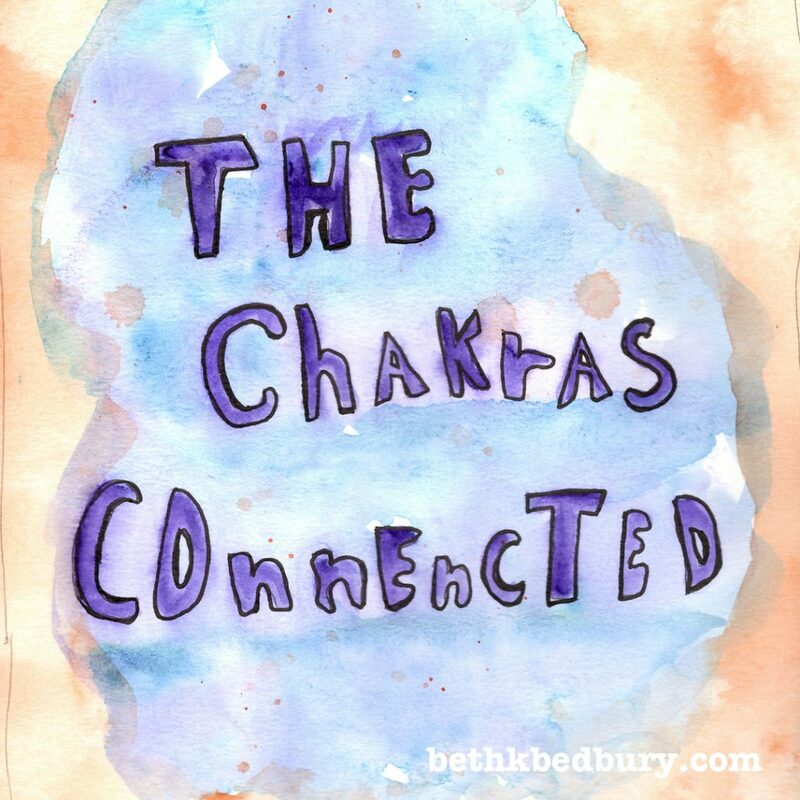 Get on the list for webinar invites, goodies, & Chakra Cheat Sheets!